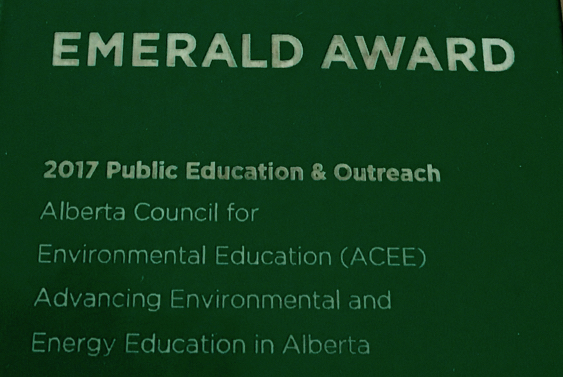 This survey was conducted in July 2017 and it was completed by 84 individuals that work in the environmental and energy education field. 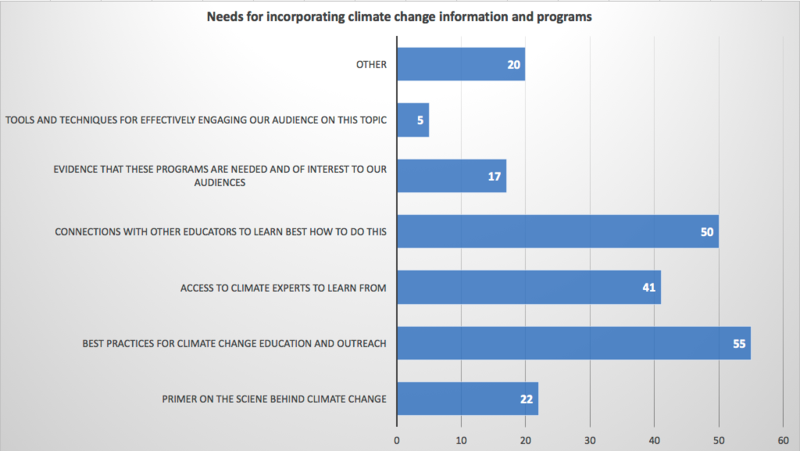 The needs assessment asked questions about their current programs and about climate change education. 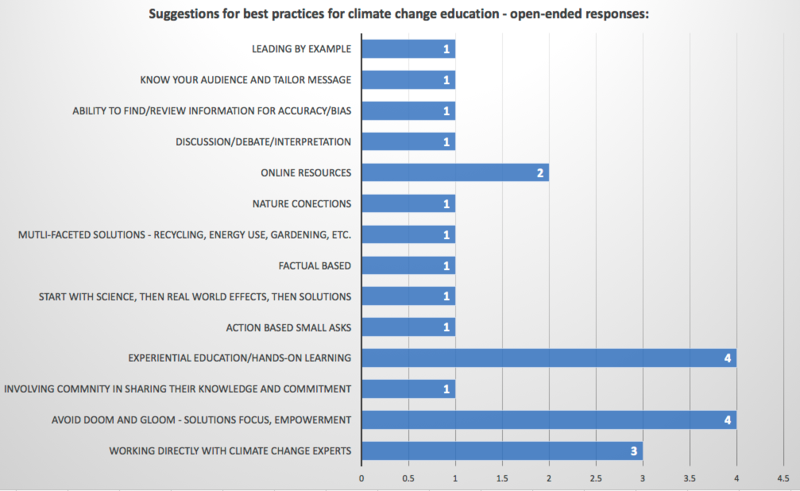 What do you need to effectively incorporate climate change into your programs? More results are summarized below. If you have any questions, please contact Christina Pickles - christina[at]abcee.org. We also conducted a survey with Alberta teachers, access the results here. Click on the topics below to see specific summaries of results. You can also click on any of the graphs to enlarge them. There was fairly even distribution of responses from various organizations - provincial and municipal government, charities and non-profits, and schools. The majority of respondents indicated elementary students as their main audience, followed by adults. 63% of respondents indicated an increase in demand for their programs and only 46% said they can meet the demand. Close to half of the programs reach 0 to 500 people each year, with 80% of respondents accomplishing this with less than 5 staff. Close to 50% of the responses indicated they are not working with volunteers to deliver their environmental education and outreach initiatives. 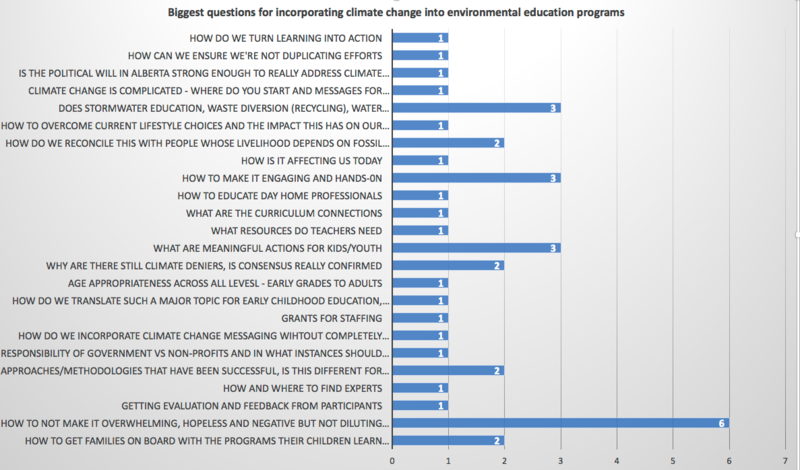 From the respondents, the most commonly addressed topics in environmental education and outreach are: nature connections, water, wildlife and conservation. 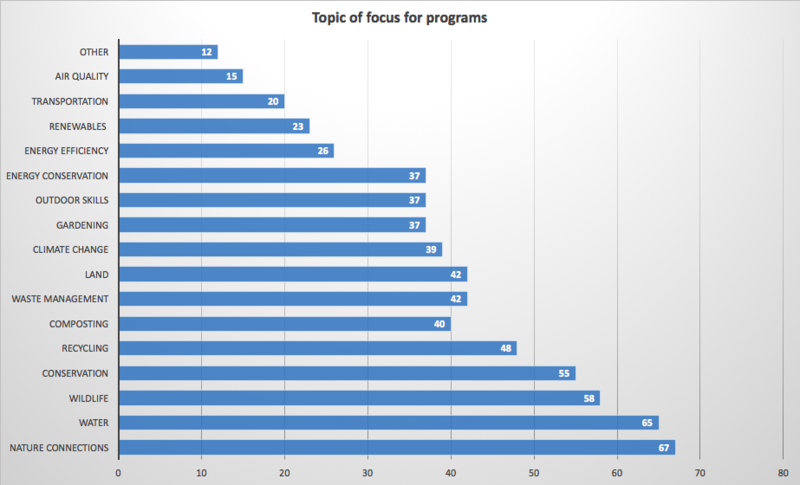 The top two barriers that respondents identified are time to develop new programs and lack of funding for programs.